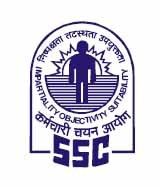 SSC CGL (Tier I ) Exam Result out 2017 | The Staff Selection Commission (SSC) has published the results of SSC Combined Graduate Level (Tier-I) Exam 2017. The organization has conducted online Tier I Exam during 5th August to 23rd August 2017. More information please read below mention details carefully.